apartment suited our needs perfectly. Buena ubicación, zona tranquila y buenos servicios alrededor. Apartamento sencillo, pero cómodo. Das Apartment liegt sehr verkehrsgünstig zur Metro und zum Bahnhof und ist relativ preiswert. Beautiful apartment! Clean and comfortable. Enjoyed our stay here. This beautiful studio apartment in Barcelona, located in the chic and stylish neighborhood of Eixample is a great choice for your trip to the Catalan capital. The area, home to some of the finest designer stores, quirky boutiques and a variety of restaurants, sure to satisfy every palate, will make you feel right at home during your Mediterranean getaway! The apartment enjoys a simplistic design, with a neutral color design and carefully selected furniture found throughout. The tiling and large windows give this apartment a clean and fresh feel. 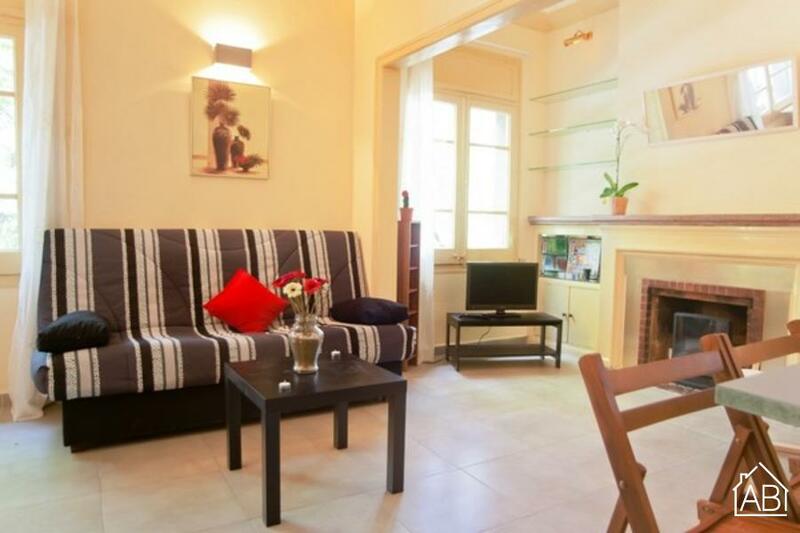 The living room is furnished with a comfy double sofa bed, and a TV, perfect for relaxing after a day of sightseeing! An Internet connection is also available making it easy to stay in touch with friends and family back home. The fully equipped kitchen has all of the utensils and appliances needed to create your very own home-cooked meals, which can be enjoyed in the privacy of this ideal home-away-from-home. The apartment is furnished with a double bed, meaning that this residence can accommodate up to four people. There is one bathroom fitted with a walk-in shower. Situated in one of Barcelona´s most beautiful ´barrios´, this charming studio apartment complete with heaters, is a great choice for your trip to the Catalan capital, any time of the year!